Last year I set up a Christmas Tree Geoboard for my son and it was a success; he was entertained by it for a while. Fast forward to this year and I decided to give that Christmas Tree Geoboard a face lift and a new purpose. 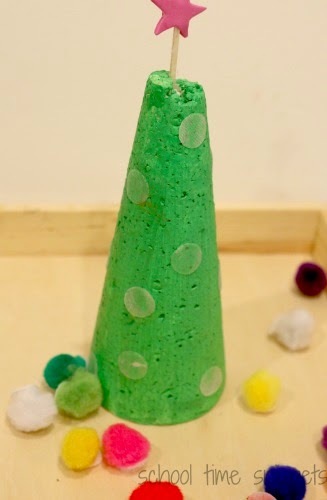 Since it was filled with plenty of holes, I decided to repaint the foam tree and upcycle it into an activity that Baby Brother and Little Sis could do using velco and pom poms. I decided to turn our Christmas Tree Geoboard into a Velcro Christmas Tree Activity. It is very similar to our tot-friendly Velcro Tower we shared last year! Originally, I purchased the foam tree from the Dollar Store. For this activity I repainted it green, added Velcro dots to the cone, and applied the other half of the Velcro dots to Pom Poms. Although the Velcro dots stick to the pom poms, I would suggest that you use a glue gun to keep them together a bit better. Once you have your Velcro Christmas Tree set up, it's time to encourage your little one(s) or not so little, to decorate the tree by attaching the pom poms to the Velcro and/or taking the pom poms off the tree. Baby Brother manipulating the pom poms on and off the tree! It required a lot of hand-eye coordination. I love this picture with his tongue hanging out; you can tell he was concentrating very hard! 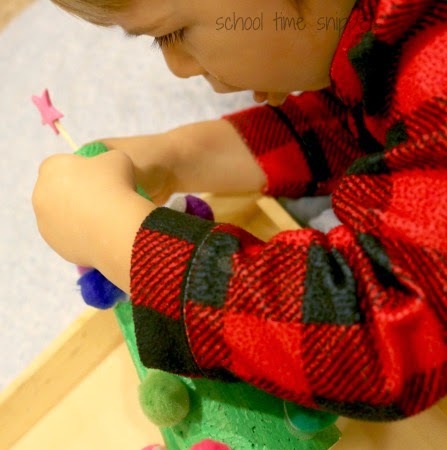 Your little one will be honing those fine motor skills as they pinch, pull, and squeeze the pom poms. For a Preschooler, you could also turn this into a math/ counting game. 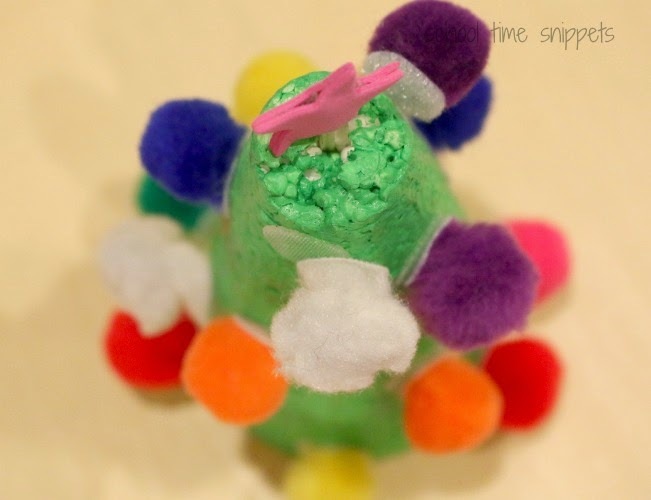 Roll a die and add so many pom poms and/or take them off the tree! 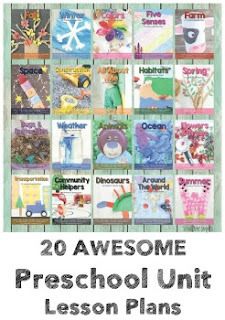 Click the banner to find out more about our new book, 99 Fine Motor Ideas!